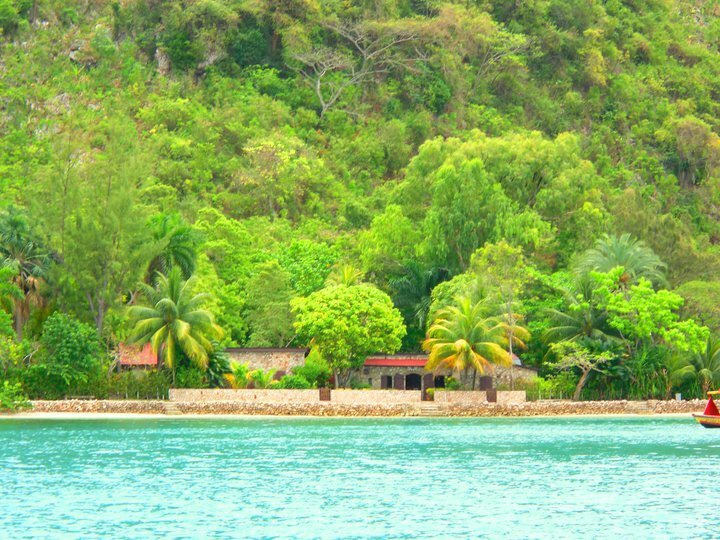 Labadee (also Labadie) is a port located on the northern coast of Haiti. It is a private resort leased to Royal Caribbean International until 2050. 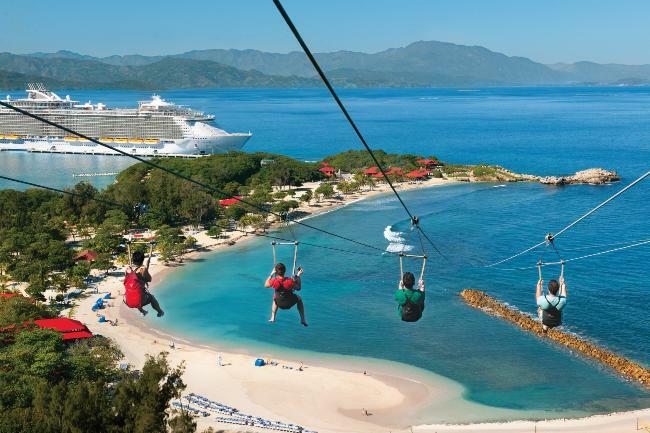 Royal Caribbean International has contributed the largest proportion of tourist revenue to Haiti since 1986, employing 300 locals, allowing another 200 to sell their wares on the premises for a fee, and paying the Haitian government US$6 per tourist. 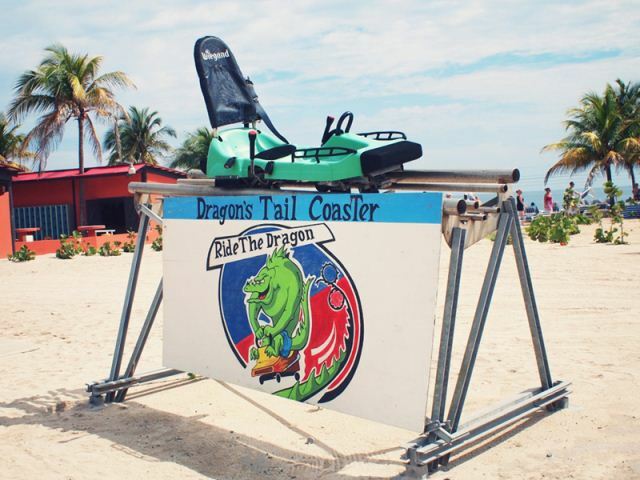 Experience the rush of soaring 500 feet above the beaches of Labadee on the Dragon’s Breath Flight Line. 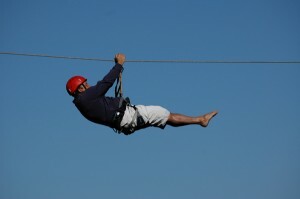 Swoop down along the longest zip line in the world over water. 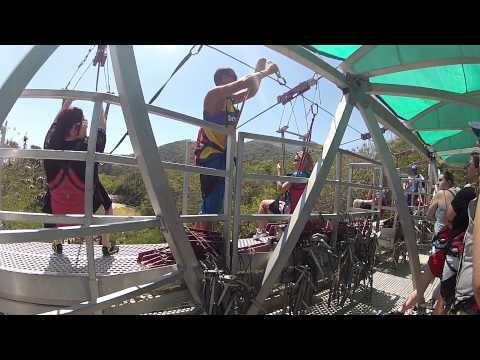 The Dragon’s Tail Coaster will take you on a wild ride of curves, swerves and dips through the mountainside forest with vews of the ocean and your ship. 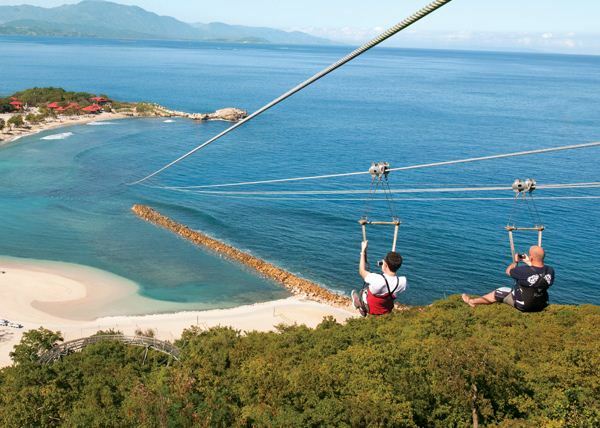 Grab a bird's-eye view as you soar 400 feet above the beautiful peninsula of Labadee on a thrilling parasail ride. Paddle through the enchanting Bay of Labadee® on a kayaking tour. 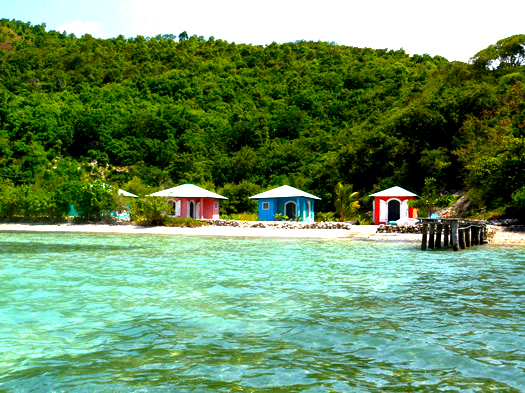 Absorb the breathtaking surroundings and learn a bit about the Haitian culture. Take an exhilarating ride aboard a Wave Jet personal watercraft along the scenic coast of Labadee®. The most festive time of the year in Haiti is during Carnival (referred to as Kanaval in Haitian Creole or Mardi Gras). The festivities start in February. The cities are filled with music, parade floats, and people dancing and singing in the streets. Carnival week is traditionally a time of all-night parties and escape from daily life. Rara, a festival which occurs before Easter, is celebrated by a significant number of the population as well, and its celebration has been led to it becoming a style of Carnival music. Many of the youth also attend parties and enjoy themselves at nightclubs called discos, (pronounced "deece-ko") (not like the discos of the U.S), and attend Bal. 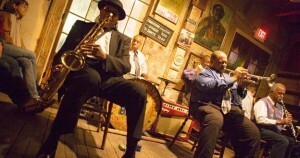 This term derives from the word ballad, and these events are often celebrated by crowds of many people.